What’s a party without food and drink? Make sure your refreshments make an impact by renting a fountain, chiller, warmer or more! No matter your function, we can help you make your food and drink the hit of the party! Who doesn’t love chocolate? 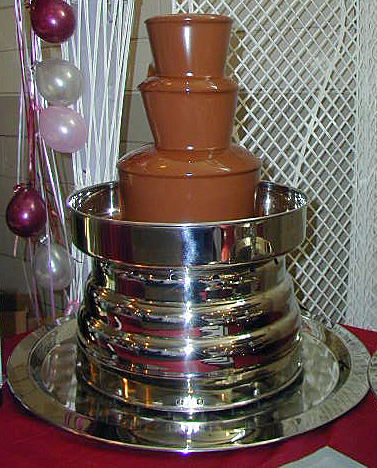 Our chocolate fountain rental includes a silver platter for it to set on. The platter makes a great presentation and collects any drips. Unlike other companies, we do not require an attendant with the rental of our chocolate fountain. Please note that rental includes the fountain and platter only. Chocolate is not included. 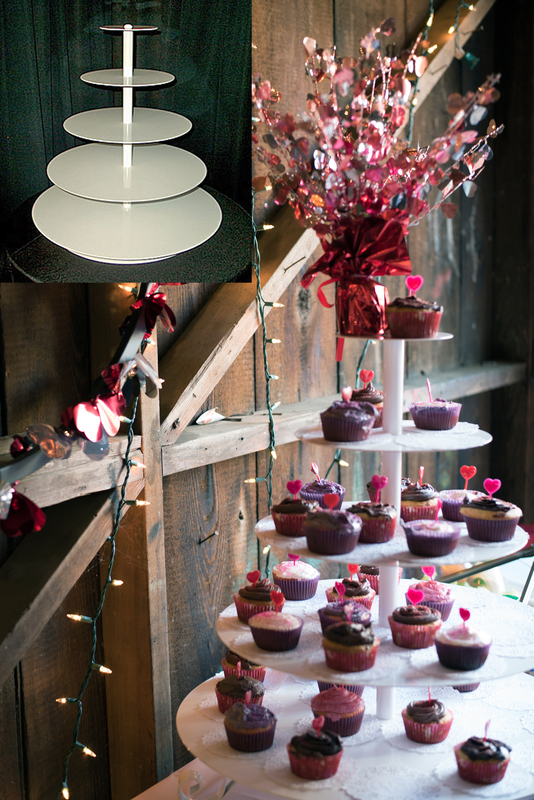 Food Trees offer a way to display decor and food in a space saving, yet elegant way. We offer a large round (shown right), and a party food tree. 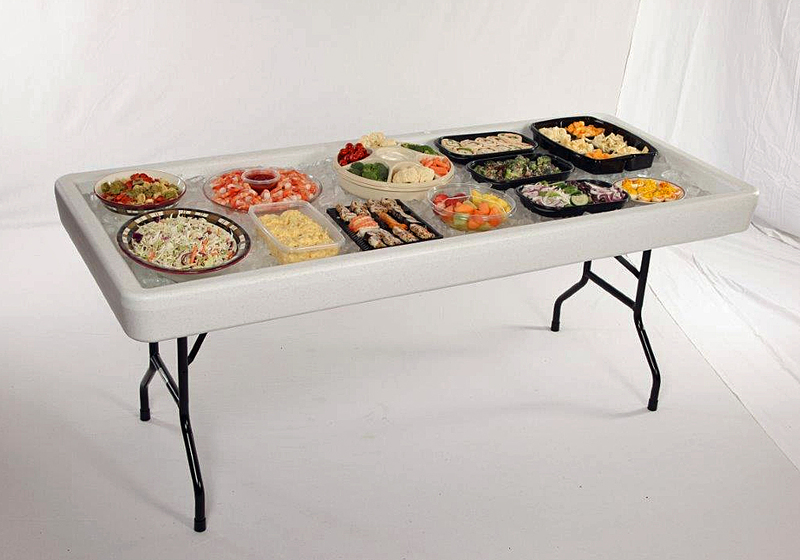 The Fill ‘N Chill Little Chiller Party Table will make a perfect addition for tailgating, events, parties, and more! 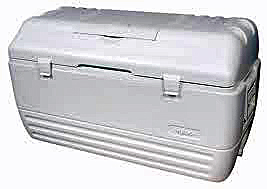 Almost 4 inches deep, this party tables holds up to 50 pounds of ice, keeping your food and beverages ICE cold. We also offer skirting clips and an extender for tall items such as long neck bottles. 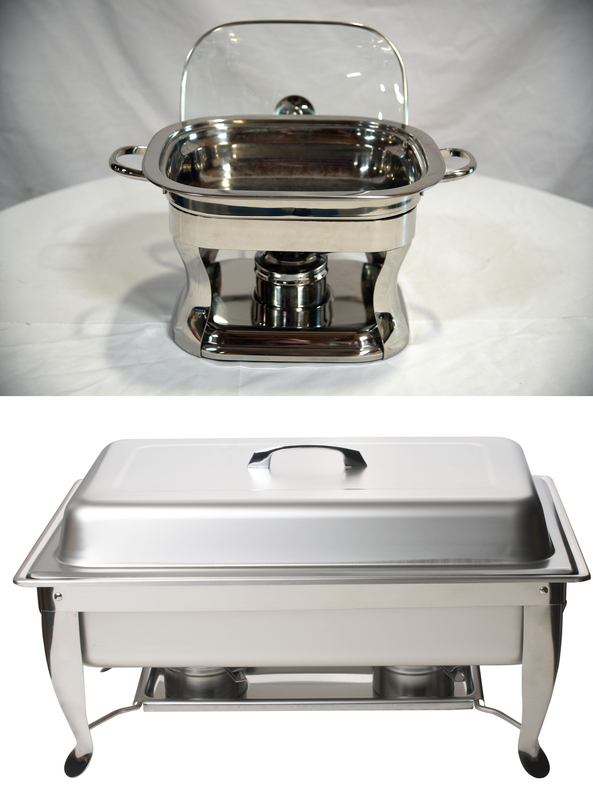 Chafing dishes are perfect for any buffet or event where you want your food to stay fresh and hot. Please note that the rental includes the chafing dish only. Sterno is not included. 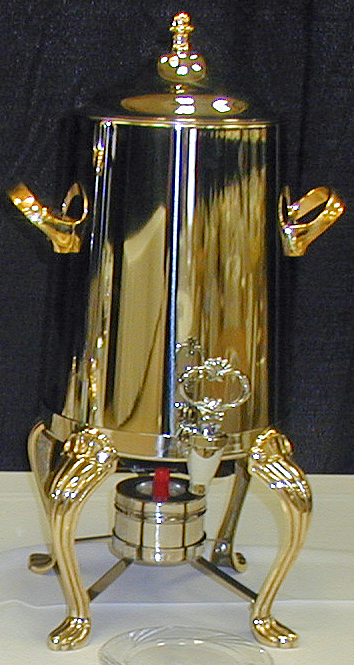 Our beverage urn is an elegant touch for for coffee, tea or other hot beverages. Please note that the rental is for the urn only and does not include sterno. 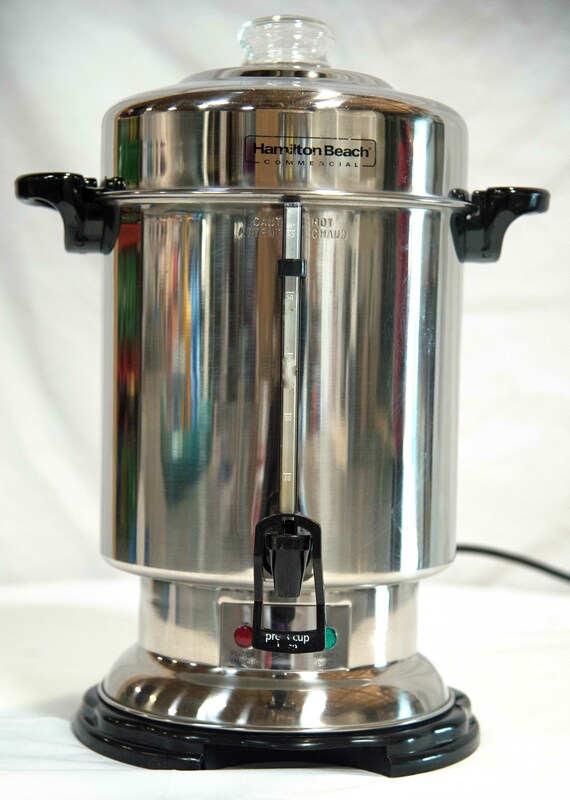 Our electric coffee pot holds 60 cups to refresh your guests. Don’t forget to add this event staple to your rental list! Ice Chests are the workhorse of any event. They are good for keeping ice cold, chilling beverages and keeping foods cold. Our ice chests can hold five 20 pound bags of ice. Drinks look elegant served in our beverage dispensers. 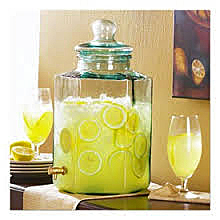 Choose from glass 3 gallon, 2 1/2 gallon with a stand, 5 gallon hexagonal (shown in photo), or plexiglass. Need to store a large amount of refreshments? Rent our beverage cart! It can hold approximately 180 pounds of ice! 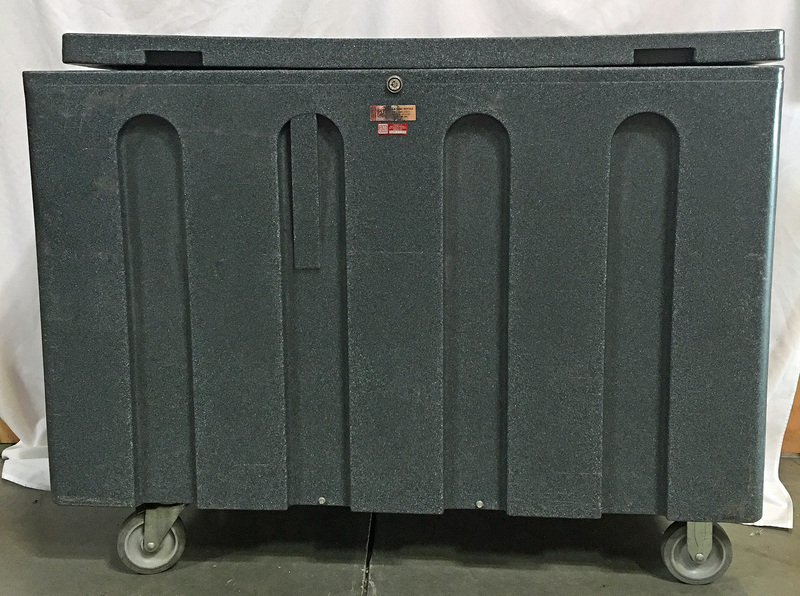 This tub is very sturdy and has caster wheels for easy moving. Fun & Games offers two sizes of Margarita makers. 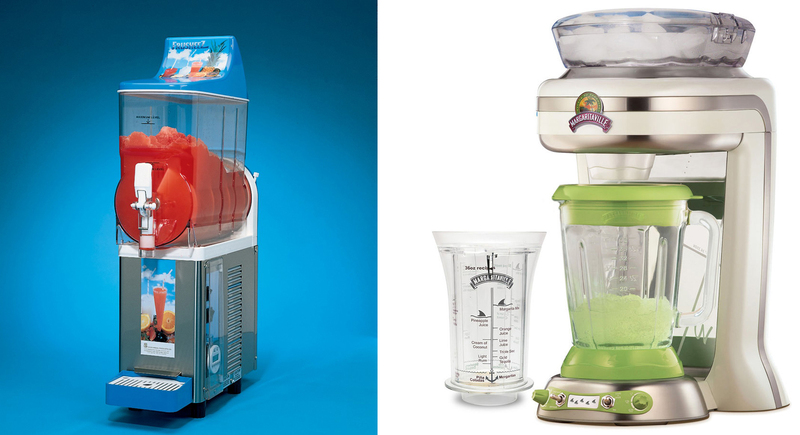 Our Margarita machine (left photo) holds 384 ounces, while our Margarita maker holds 36 ounces. We also have 1/2 gallon margarita mix available for your convenience. Sno-Kones are a tasty ans fun way to refresh guests during a warm weather event! 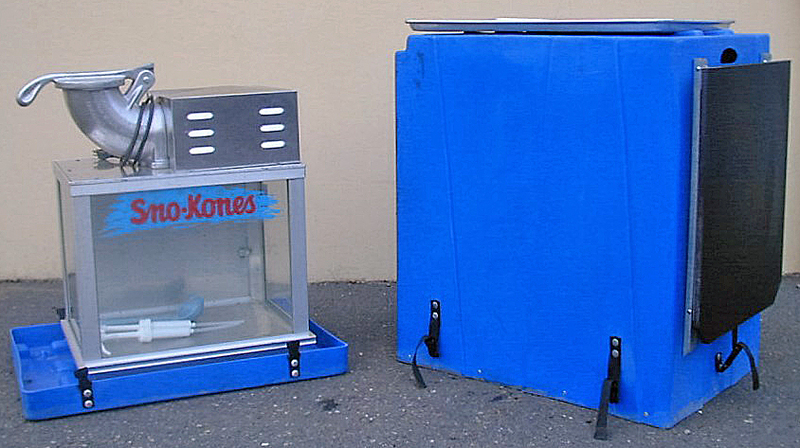 Choose from a small cart, large cart, metal machine (with or without case, shown right) or a blue machine. For your convenience, we also offer a food package which includes 50 paper cups, 50 straws, and 1 flavor syrup to make 50 sno-kone servings. 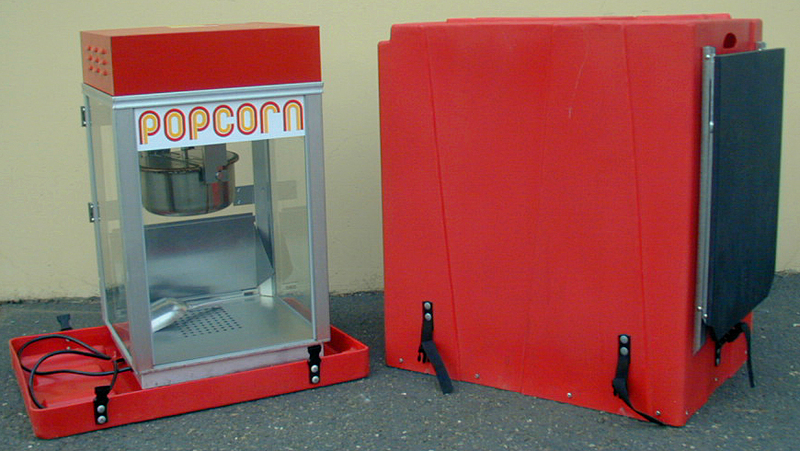 Pop up some fun with our popcorn machines! Choose from a small cart, wagon, antique (shown in bottom photo), or large machine with a case (shown in top photo). We also offer a food package of 50 popcorn bags with enough flavored kernels for 50 servings. Add a touch of carnival whimsy to your next party! 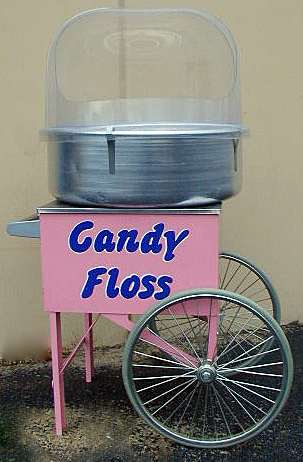 Rent the cotton candy machine alone (top silver unit in photo) or with our large cart (shown in photo). You can also rent a small cart which is just the base without wheels. For your convenience we also offer a food package which includes 50 paper cones and enough floss for 50 servings. Hot Dogs are always a crowd pleaser! Whether you prefer steamed or grilled, Fun & Games has you covered. 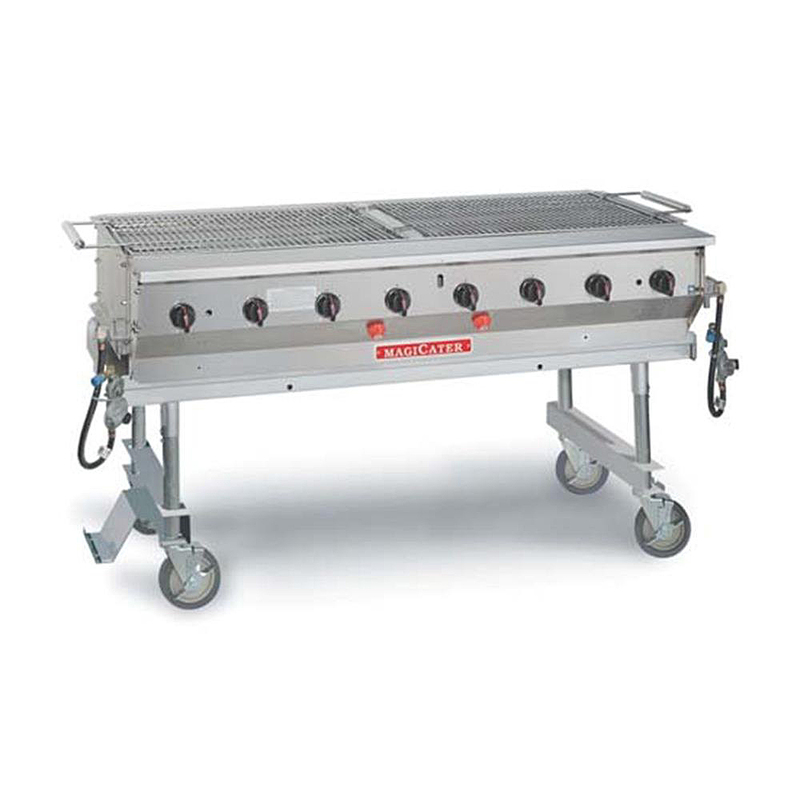 Choose from a small or cart steamer, or a small or large grill. Every event needs a little sizzle! 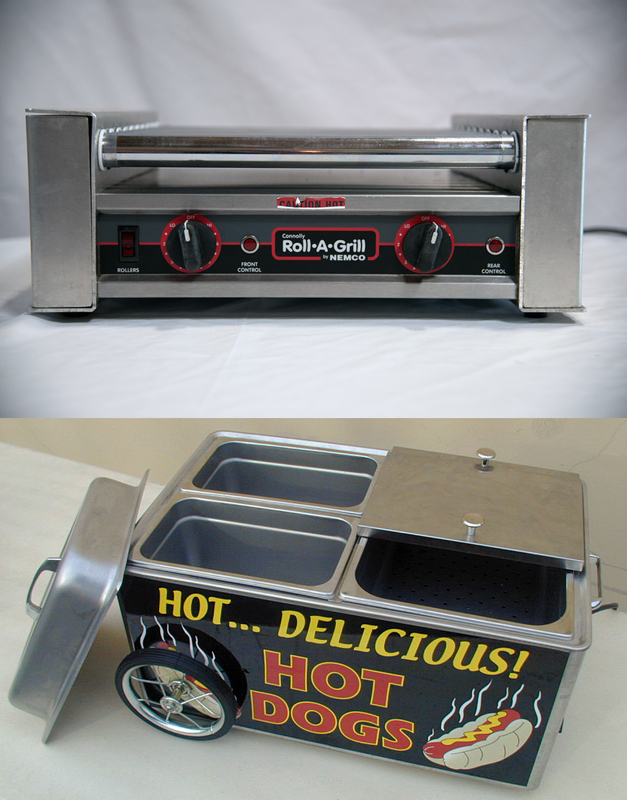 Get yours by renting our 30 inch or 60 inch barbeques. Each has a nice wide surface to grill up all your favorite items!